"Tom Kraeuter is one of the most prolific authors and teachers on the contemporary worship scene today. His books are available worldwide in multiple languages. Tom's biblical, practical teaching transcends denominational lines. Nearly 20,000 people have attended his worship seminars, retreats, and conferences in churches all across North America. 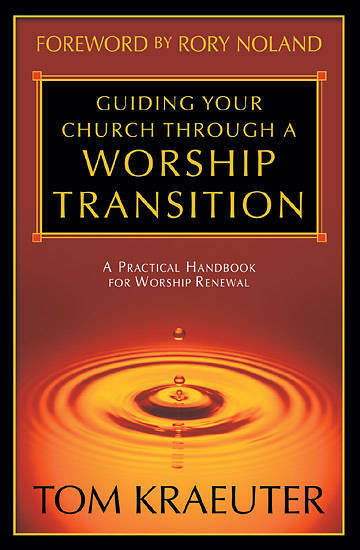 Many churches are considering a change in worship style--or they are in the midst of one. How can congregations walk together through a successful worship transition? Based on solid scriptural principles and the experiences of scores of churches, this wealth of tested solutions and steadfast counsel equips believers with answers that will make a difference.